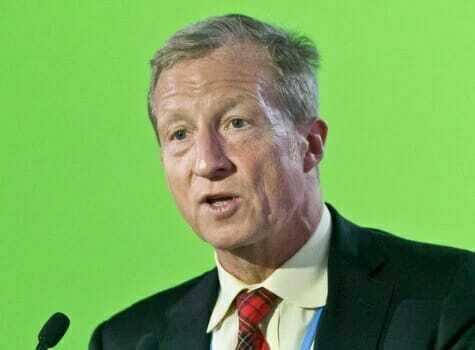 Far left billionaire and green billionaire Tom Steyer announced Thursday he has hired 50 staffers for his probable 2020 run. Because America needs another Communist to run the country. Steyers hired 50 staffers for his “Need to Impeach” campaign team. Steyer claims he has 4.6 million supporters backing his “Need to Impeach” movement. They want Trump impeached because he’s mean and tweets mean things. Based on a LinkedIn search of people who identify “Need to Impeach” as their employer, it appears that Steyer could be laying the groundwork for a 2020 presidential campaign. Staffers include people with experience with political research, a speechwriter and a senior communications strategist. Steyer previously announced that he would not be running for office in 2018, despite rumors that he is considering running for governor of California. By hiring 50 political operatives, it seems that Steyer might have his eyes set on the White House. Good luck in 2020 Tom.